S04E07: Robert E. Lee, Hero or Traitor? 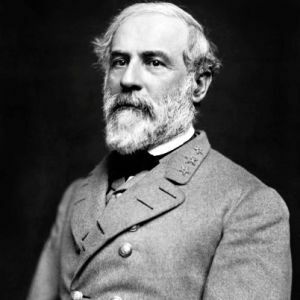 Born into American Royalty, Robert E. Lee of Virginia spent his life in the service of the United States of America. Although he was an avid patriot, upon the beginning of the American Civil War he raised his staff against his own country, and became a living legend in his own time. Long after his death the life of Lee is still debated however as some view him as a hero, while others as nothing more than America’s most famous traitor. On this episode we discuss the life and legacy of Robert E. Lee.